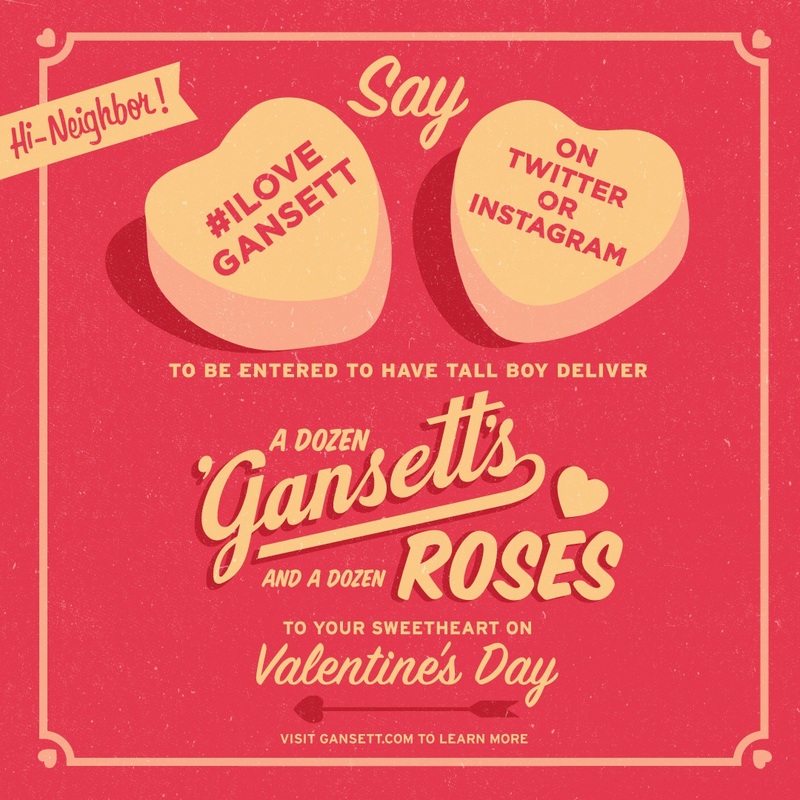 Want Tallboy to deliver roses and more importantly BEER to your sweetie this Valentine’s Day? Post your favorite ‘Gansett related photo (or photos, we’re not judging) with the hashtag #ILoveGansettBeer to be entered to win. The day before Valentine’s Day, we’ll pick our favorites and 1-3 grand prize winners’ significant others will get a romantic visit from Tallboy!